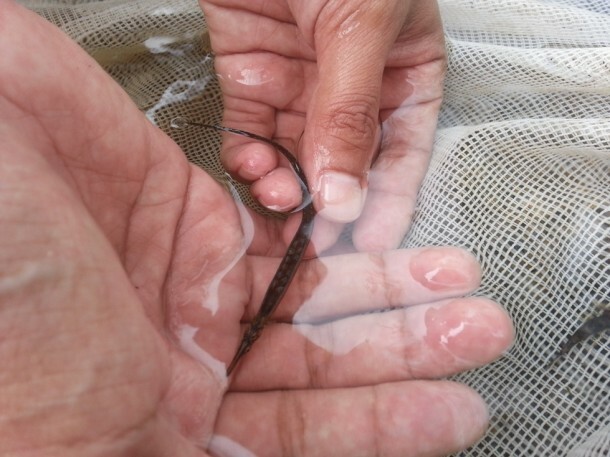 SF summer field trip – reports on the way! 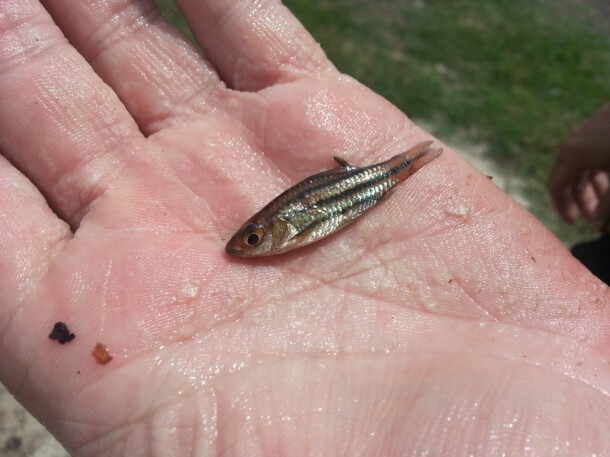 I’ve just returned (more’s the pity) from a month pottering around Malaysia in search of freshwater fishes and other interesting stuff, and will be posting a series of blogs about the trip since there’s far too much material to cram into a single piece. There are around 6000 hi-res photos plus interviews and videos to check and process so for the time being here are a few images off the phone-cam, some of which were taken by my wife. 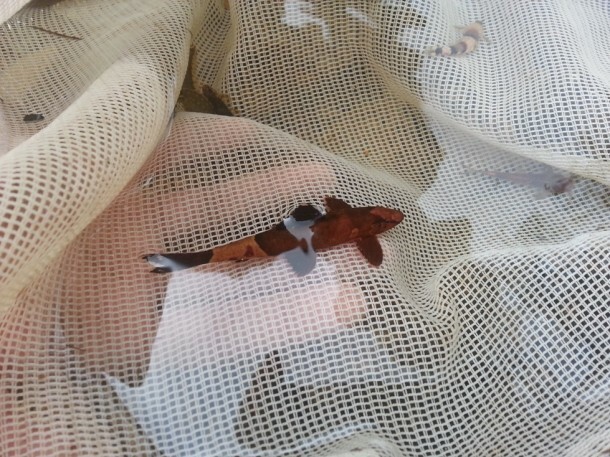 First report to follow in a day or two and will feature a couple of very special fishes. 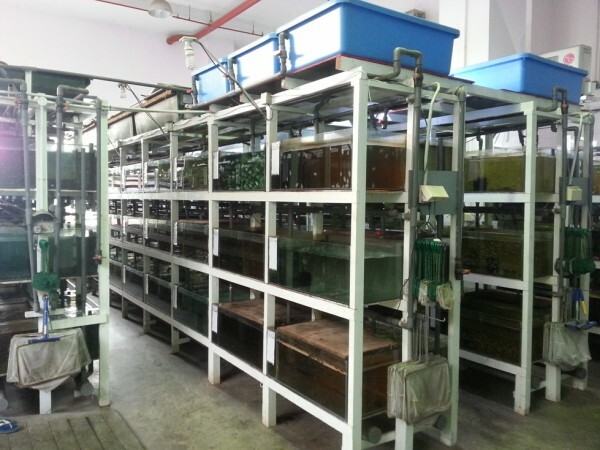 Aquaculture Technologies Pte Ltd., Singapore is one of Southeast Asia’s most important exporters of wild-collected fish. We were lucky enough to be granted an exclusive in-depth interview with owner Patrick Yap which will be published soon. 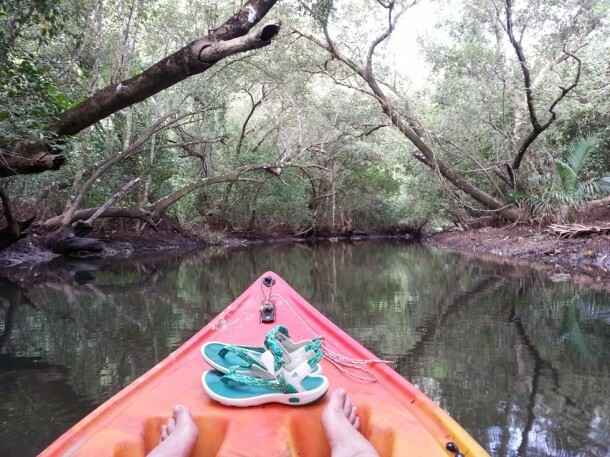 Mouth of the blackwater Sungai (river) Ru Rebah as it enters the South China Sea, Johor state, Peninsular Malaysia. 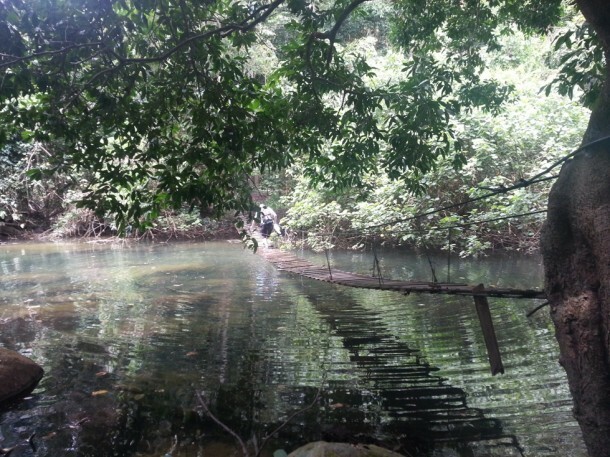 Dodgy bridge on the Sungai Mentawak, Tioman Island. Backside mine. 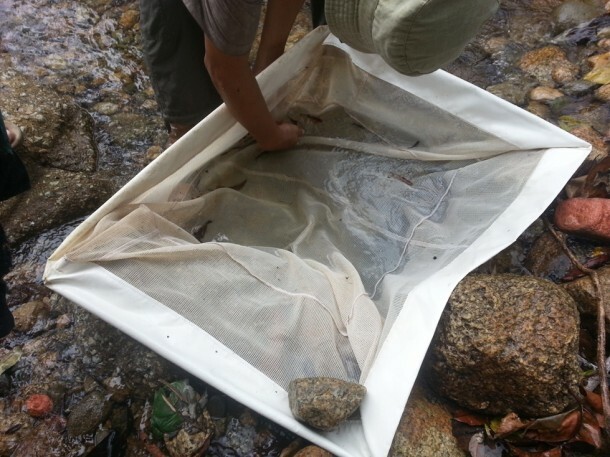 Hill stream near Sekayu, Terengganu where we collected around 20 species. Ever fancied a trip to Russia? The Unitex group of companies is once again arranging a series of international aquascaping competitions this year for which preliminary registration is now open. Finalists will be invited to attend the prize events in Moscow and St. Petersburg which will be judged by a number of high-profile names from the aquarium world, while Dennerle and JBL provide sponsorship. To enter the contest you should fill in an application form (http://all4aquarium.ru/en/node/4817) before September 30, 2013, including your personal information, plus information about and four photos of your aquarium. 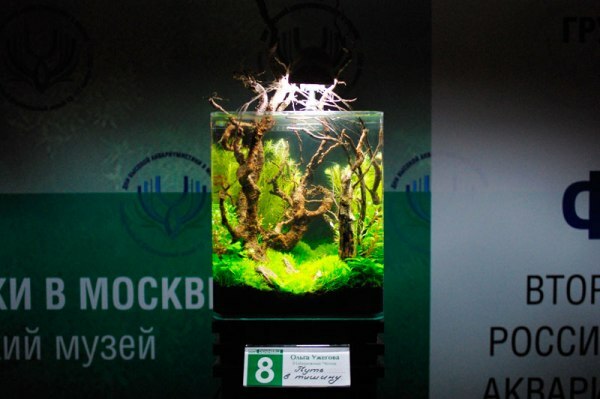 The grand final will take place in Moscow, at the ‘Days of High Aquaristic’ event between November 15-17, 2013 with finalists receiving free accomodation in Moscow as well as a contribution towards travel expenses. To enter the contest you fill in an application form (http://all4aquarium.ru/en/node/4816) before October 10, 2013, including your personal information, plus information about and four photos of your aquarium. From October 10 to October 20 members of the jury and internet users will vote and 21 finalists will be chosen. The final will be held at the ZooSphere exhibition in St. Petersburg between November 20-23, and travel expenses and accommodation will be partially or completely covered for international finalists. To enter this contest you should fill in the application form before September 30, 2013, including your personal information, plus information about and four photos of your aquarium. 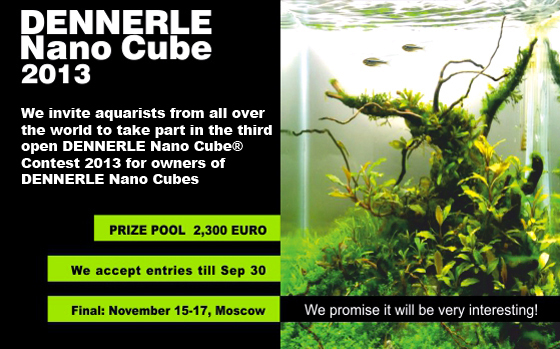 Prize pool is 6000 EUR and winners will be announced on 17th November 2013, during the ‘Days of High Aquaristic’ event in Moscow. This contest is restricted to entrants from the following countries: Albania, Armenia, Azerbaijan, Belarus, Bosnia and Herzegovina, Bulgaria, Czech Republic, Croatia, Estonia, Georgia, Greece, Hungary, Israel, Kazakhstan, Latvia, Lithuania, Macedonia, Moldova, Montenegro, Poland, Romania, Russia, Serbia, Slovakia, Slovenia, Turkey, Ukraine.